The government shutdown dominated the news these past weeks, but far more consequential were proposals floated by newly minted presidential candidate Elizabeth Warren and freshman representative Alexandria Ocasio-Cortez to significantly raise taxes on the very rich. Zachary Karabell is a WIRED contributor and president of River Twice Research. 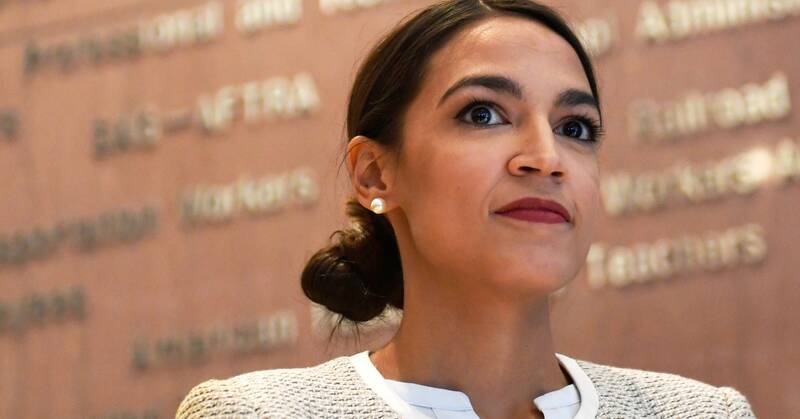 Their plans are not the same: Ocasio-Cortez aims to raise the marginal tax rate to 70 percent on income above $10 million (which would affect only 0.1 percent of US households). Warren, on the other hand, has suggested a novel “wealth tax,” which would tithe the net worth of the very rich at 2 percent for assets above $50 million, and 3 percent for those with more than $1 billion. Estimates are that Warren’s tax could generate $2.75 trillion in revenue over a decade. Both plans, as well as variants being suggested by other Democratic presidential hopefuls such as Kamala Harris, would impact the denizens of Silicon Valley and the leaders of the tech industry. Warren’s tax, for instance, would raise more than $3 billion from Amazon CEO Jeff Bezos alone, billions more from other tech billionaires, and more again from the mere centimillionaires and their poor decamillionaire cousins. Or would it? Leaving aside those who think these tax-the-rich ideas are nascent socialism, would they accomplish what they are designed to? Would they adequately fund new social programs and, more important, would they start moving the needle of inequality back toward equality? Based on past experience, the answers may be disappointing. Senator Elizabeth Warren has proposed a “wealth tax” on fortunes greater than $50 million. That doesn’t mean these ideas are meritless. Teasing out how economic inequality might fray democracy and social cohesion is a key question of our time, but it remains a question, not a foregone conclusion. If inequality is a cause of both economic insecurity and lack of access to essentials such as housing and health care, then reducing it is key; but if such necessities can be provided even while inequality persists, then maybe we should focus on how to meet those needs rather than on reducing the gaps. Then there’s the practical challenge of realizing the revenue. It is one thing to set a high rate, and another thing to collect the tax. In a widely publicized exchange at Davos last week, tech titan Michael Dell was asked if he supported ideas such as Warren’s and Ocasio-Cortez’s. Predictably, he said no, adding that he couldn’t think of any place where such rates have effectively reduced inequality. Eric Brynjolfsson of MIT responded by pointing to the US in the 1950s and 1960s, when rates were high, growth was robust, and the gap between rich and the rest was narrower. It’s true that the marginal tax rate in the United States peaked at 91 percent in 1960 for people with incomes over $400,000, which was only a few thousand households. But few, if any, people paid that rate. The tax code then included a range of legal loopholes such as deducting your golf club membership that reduced the effective tax rate (the rate that the IRS actually collected) to around 45 percent. It’s also true that there was less income inequality in the 1950s and 1960s, but you can’t prove that the higher rates led to less inequality. The many loopholes, and abuse of the loopholes, were driving forces for the Reagan-era tax reforms of the 1980s, which simultaneously lowered tax rates and closed loopholes. The same concept was at the heart of the 2017 tax cut, which lowered the corporate tax rate to 21 percent, from 35 percent. This was widely assailed as a tax break for the rich; the top personal income-tax rate was also lowered slightly, though the cap on deductions for state taxes means the rich in states like California and New York often will wind up paying more. More crucially, before 2017, few American corporations, especially larger, global ones, paid the 35 percent. Instead, multinationals such as Apple kept considerable profits overseas, trillions of dollars in toto, to take advantage of lower corporate rates elsewhere, making the effective corporate rate about 24 percent. Judging from the past, therefore, a hike in the marginal rate and a wealth tax are unlikely to generate the promised revenue. Bezos and other tech executives could, with some effort and inconvenience, park billions of their assets outside the US to avoid those rates, just as Apple and other companies did. Warren has promised that the rate would be applied to assets outside the US, but enforcing that would be well-nigh impossible. But advocates of these plans aren’t justifying them purely on the basis of how much tax revenue they’ll generate. After all, even if every dollar were actually collected, $275 billion a year wouldn’t balance a $5 trillion federal budget or significantly raise living standards for the tens of millions of struggling Americans in a $20 trillion economy. Even if that money were redistributed to 100 million lower-income Americans, it would amount to several thousand dollars per person. That would meaningfully aid those on the lower end of the income scale, but it would not meaningfully reduce inequality. The gap between Bezos with $3 billion less and someone earning $18,000 would not be significantly smaller than the gap between Bezos now and someone making $15,000. That’s why the key argument for these plans is about their effect on the broader society, and democracy. Emmanuel Saez, an architect of Warren’s plan, has said it could “have a significant effect on wealth concentration in the long run,” adding that such concentration is inimical to democracy. The question is whether that’s true. Would there be less social foment in the US if less wealth were concentrated in the top 1 percent, or 0.1 percent? Western Europe has more equality, yet France, the UK, the Netherlands, and Sweden have seen the same rise of anti-globalization, anti-immigration, and pro-nationalist movements as the US. Inequality may be part of the mix, but why are countries with more equality exhibiting the same fraying of democracy? Lack of security, lack of a safety net, lack of optimism about the future, the challenges of automation and trade—all of those are pressing, and none is easily fixed by a tad more equality or by tithing the wealthy. If, however, government is looking for more revenue to fund needed programs, the very wealthy are an easy source, and none are juicier than the lords of tech who’ve made so much so quickly. Despite their lofty rhetoric of helping everyone, tech executives and investors have been among the biggest winners of the nation’s growing inequality. It would be foolish to think such outsized rewards would go unchallenged. So while the nascent tax plans emerging from a crowded Democratic field may sound appealing, they are for now either incomplete or unrealistic. It’s about time, however, that the underlying questions receive the debate and attention they deserve.